Millions of years ago, the northern tip of Scotland was a separate island, until it crashed into the mainland. The prehistoric sea monsters rushed to escape ... all except for Nessie! Ever since, people have claimed to see her as vehemently as others have denied her existence. And there have been some crazed and cunning plans to trap this elusive creature. What are the facts and what is only legend? With humour and historical accuracy, Richard Brassey tells the irresistible tale for readers everywhere.Fact or fiction? 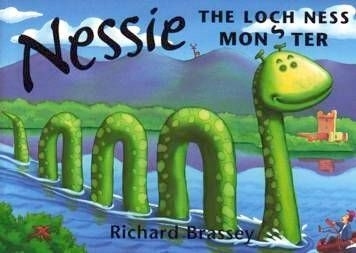 Whether or not you believe in the legendary tale from Loch Ness, this bestselling book is an essential part of British culture.